MNS Green Living: What Should I Know About Hybrid Cars? What Should I Know About Hybrid Cars? In this discussion of "hybrid cars", we are considering only vehicles that use a combination of petrol and electric power, and not natural gas or other fuels. A hybrid car has a standard petrol-powered motor and an electric motor that provides additional boost using a rechargeable battery. Using a technology called regenerative braking, as the hybrid car decelerates, the system captures this braking energy and regenerates this to charge the battery. Purchasing a hybrid car can be a very costly investment. While we at MNS do encourage everyone to take public transport, carpool or go car-free as much as possible, for many people, this isn't a realistic or practical option. The two main factors that would influence a purchaser's decision to choose a hybrid car are the fuel savings and reduced carbon emissions. Hybrid cars cost significantly more than conventional cars due to the capital investment poured into hybrid technology. The Toyota Prius C, for instance, costs approximately RM97,000.00 while the Honda Jazz Hybrid costs RM94,800.00 with insurance. The cost of purchasing hybrid vehicles is gradually decreasing due to legislative and other incentives. In addition, there is no import duty and excise duty imposed on hybrid vehicles with engine sizes under 2.0L until 31 Dec 2013, in a move by the Malaysian government to encourage the purchase and use of hybrid vehicles. However, the fact remains that the initial purchase price is high and may not result in a return of investment in terms of fuel savings in the foreseeable future for many car users who do not need to drive long distances on a regular basis. Also, the main factor that is keeping the prices of hybrid cars competitive in Malaysia right now is the exemption on duty and import tax. The government may change the policy in future, so there are no guarantees that the prices of these cars will remain as they are. It would make sense that a hybrid car that runs partly on battery would consume less petrol than a standard petrol engine. 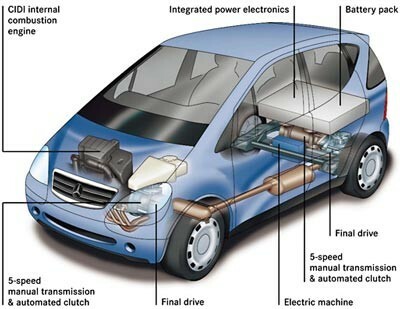 The electric motor of a hybrid car supplies substantial power to run the car under very light acceleration and speed. Moreover, hybrid car manufacturers have a tendency to utilise smaller engine capacities on the assumption that the electric motor would assist by way of power when needed, therefore consuming less fuel. However, if you are harsh on your accelerator pedal, no matter what make of car you drive, you car will be consuming petrol at a faster rate. That amounts to substantial savings of RM1,117.84 per year. Although there are substantial petrol savings each year from driving the Prius over the Altis, the initial outlay is considerably more. However, this comparison is not conclusive, as they are in fact very different cars with different specifications. This results in savings of RM 621.02 a year. Furthermore, hybrid cars consume zero petrol when at a standstill, so you won’t be burning petrol in heavy traffic or while waiting at the traffic lights. However, many of the newer models of conventional petrol cars are using the same stop-start technology, so hybrid vehicles are not the only options if you want a fuel-efficient vehicle. The price of hybrid cars is inevitably coming down due to a rapidly increasing demand. In addition, tax incentives that may apply now may not continue forever. This means that you will not be able to sell your car at a premium price later, even though resale value is good now. So if you buy a hybrid because you think it will hold its value, don't count on that being true in five years' time. Many mechanics are not yet trained in maintaining and repairing a hybrid vehicle. Could you get yours repaired and maintained locally? This may upset electric vehicle proponents, but it has been determined that electric and hybrid cars generate more carbon emissions during their production than current conventional vehicles, according to a new report prepared in collaboration with the UK’s Low Carbon Vehicle Partnership that includes major vehicle manufacturers and oil companies. However, electric and hybrid vehicles still have a lower carbon footprint overall. For example, a typical medium-sized family car will create around 24 tonnes of CO2 during its life cycle, while an electric vehicle (EV) will produce around 18 tonnes over its life, the report said. For a battery-powered electric vehicle, 46% of its total carbon footprint is generated at the factory, before it has travelled a single kilometre. The report, being released as part of the LowCVP Annual Conference 2011, highlights the increasing importance of accounting for whole life carbon emissions to compare the greenhouse gas emissions of low carbon vehicles. The study found that some of the CO2 savings made during the use of low carbon vehicles is offset by increased emissions created during their production, and to a lesser extent, disposal. We must appreciate that hybrids are still internal-combustion, petroleum-powered cars. While they might use less of it than other vehicles, they still depend on a fuel that often comes from a fossil fuel, and they still create emissions when they are driven around. The batteries inside hybrid cars depend on materials like lithium and cobalt. Mining for those minerals is an extremely destructive process, and one that has left entire mountains leveled in their wake. Local residents benefit little from these endeavors. Furthermore, the countries with the most lucrative mines tend to also be some of the most unstable, including Bolivia and the Democratic Republic of Congo. So increasing our dependence on electric and hybrid cars may mean trading the conflicts in the Middle East for another set of problems. Hybrid cars can be a great alternative to conventional vehicles, but people need to realise that hybrids won't solve the fossil fuel and pollution crisis overnight. There are many ways to reduce your fuel consumption and carbon emissions without having to invest in hybrid cars. Your driving style has a large impact on your fuel consumption. It's not just about what kind of vehicle you are driving, but how you are driving it. Is it a single-occupancy vehicle most of the time, or are you carpooling and ride-sharing? Are you making too many unnecessary trips, or combining trips and errands whenever possible? Are you making every effort to reduce your reliance on driving, and taking public transport or walking / cycling instead? Are you able to forgo driving once a week? Are you braking and accelerating abruptly and frequently, or do you drive at a manageable and consistent speed, and anticipate things which may require you to stop or slow down? Do you drive mostly in the city, or on highways? If in-town, low-speed, start-stop driving is a major part of your day, a hybrid will probably get the better side of the fuel consumption equation. But for long highway commutes at steady high speeds, petrol and diesel-powered cars might perform comparable to, or in some cases even better than, hybrids. Hybrid vehicles aren't the only fuel efficient and low emission vehicles around. Clean diesel vehicles such as the Volkswagen Jetta TDI, for instance, have high fuel effciency and cleaner emissions than conventional vehicles, and may even outperform hybrids while driving on highways. Diesel's former reputation as smelly, dirty and sluggish is now a thing of the past. Compressed Natural Gas (CNG) tank installations on your existing vehicle can also result in considerable fuel savings and cleaner, lower emissions. Smaller, newer cars designed for city driving (remember the Smart Fortwo?) can make significant fuel savings and reduced emissions. Ultimately, you need to ask yourself your reasons for wanting to purchase a hybrid vehicle. Are you going to do much driving at all? Are there alternatives to driving? How frequently will there be passengers in your car? Would you consider smaller and newer conventional cars as other fuel-saving options? Can other types of fuel such as natural gas or clean diesel be comparable to hybrids in terms of reduced emissions? It may also be worthwhile to wait until the prices of hybrid vehicles come down, or more secondhand hybrid vehicles are available on the market, or for the technology to improve in a few years. Very interesting view. Many does not realised that the process of production also creates a substantial carboon footprint. I think that this stuff can surely increase anyone’s knowledge about the hybrid cars. I think that the hybrid cars can surely provide you a better mileage than the other one.